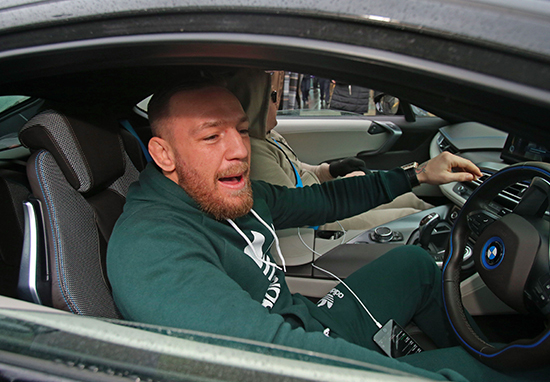 In the early hours of this morning, the Notorious Conor McGregor was arrested after he violently attacked a UFC bus carrying Khabib Nurmagomedov among others. Now McGregor’s alleged mugshot has been leaked on Twitter making us question life in general. The past 24 hours have felt like I’m living in a Conor McGregor film with a gargantuan budget. The alleged mugshot, which was also shared by MMA journalist Jim Edwards, certainly looks authentic – and the Notorious appears to be wearing the same blue jumper as he does when being walked out of a New York police station. Although nothing is certain and Edward’s tweet has since been deleted. Just moments ago, the Irishman was recorded as he left a police station sporting a lovely pair of handcuffs. 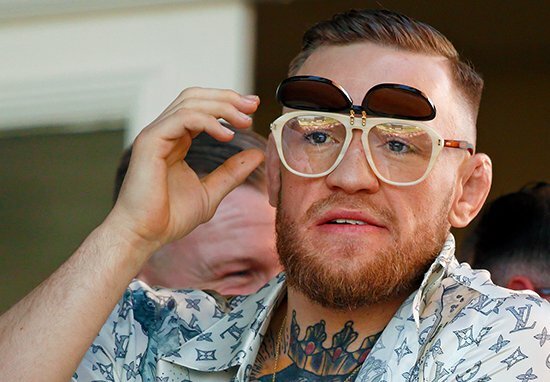 I mean, do you wanna be in business with Conor McGregor right now? Do you wanna chase this guy around for interviews and buy his flights? Do you? I don’t think anybody is gonna want him right now. I think everybody is gonna be pretty disgusted in Conor McGregor right now. Listen, you don’t like Khabib and you don’t like what happened then fight Khabib. You can come in here and you can do it legally. Sh*t, this fight’s happening Saturday, we could’ve talked and had the Khabib fight right after. You could do whatever you wanted to Khabib within the limits of the rules of, you know, fighting. But you wanna grab 30 f*cking friends and come down here and er, do what you did today? It’s disgusting and I don’t think anybody is gonna be huge Conor McGregor fans after this. What do you make of McGregor’s antics? Has he gone too far this time? Or is it all just classic McGregor PR hype? If so it’s working. You have to ask yourself, what does a minor crime like this matter to The Notorious when his name is now plastered on every news site in the world?